This GE Laundry Pair from RC Willey takes the trouble out of doing laundry. 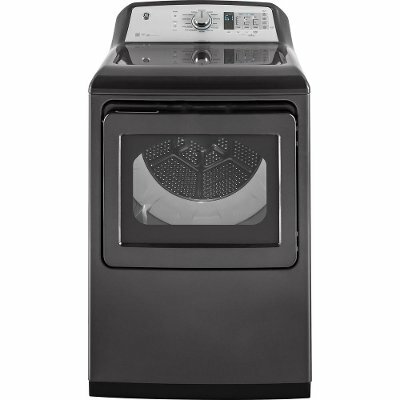 This laundry pair comes with a top load washer and an electric dryer and is designed to look and work great together. Bring them home today and make your laundry day easier than ever. This GE Dryer from RC Willey comes in a diamond gray finish and features 7.4 cubic feet. This electric dryer features GE Appliances technology that is sure to make your laundry day easier and more convenient than ever before. Get it today!